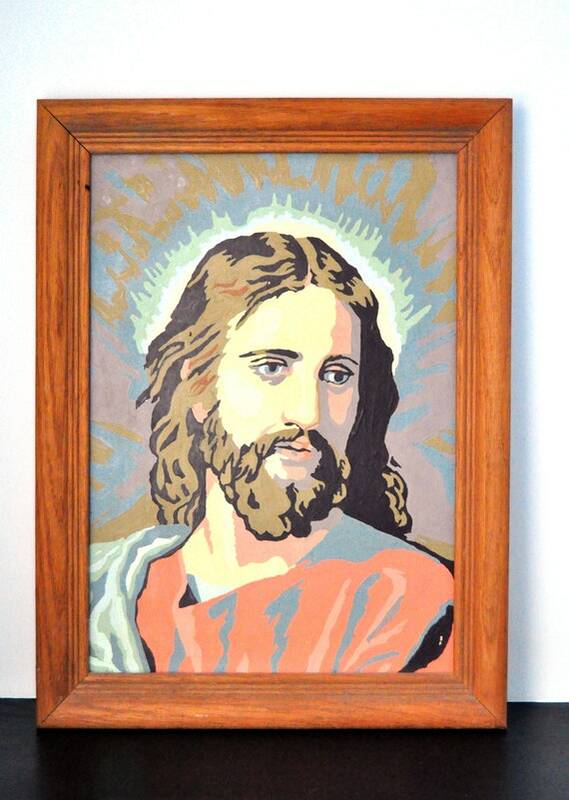 Vintage kitschy paint by number Jesus with vintage frame. Total frame size is 12×16 inches. The size of the painting itself is a bit smaller. In good vintage condition overall. There are some spots on the front, and the frame has some surface marking and a spot near the top. The painting itself is held in the frame with tape currently; you can opt to use picture nails if you wish. The edges of the cardboard are a bit ragged. Currently no hanger.